By Shelton Gunaratne, author of Village Life in the Forties: Memories of a Lankan Expatriate (Bloomington, IN: iUniverse); and From Village Boy to Global Citizen Vol. 1& Vol.2 (Bloomington, IN: Xlibris). 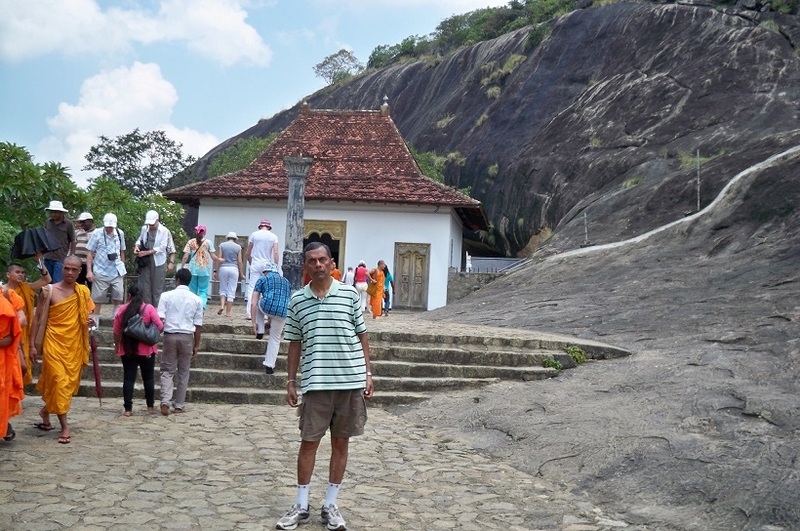 During my early April 10-day tour of Sri Lanka, the country where I was born and raised, I tried to examine my experiences as a naturalized American fully conversant with the Jathika Chintanaya (national way of thinking) of the indigenous inhabitants of the island. So, I shall point out the negative side of the Central Cultural Fund’s (CCF) “smart” policy of enforcing highly steep admission charges on foreigners, including expatriate Lankans, who wanted to appreciate the country’s heritage by touring the Cultural Triangle linking Kandy, Anuradhapura and Polonnaruwa (plus Sigiriya and Dambulla within the triangle). My foreign-born wife””‚a naturalized American of Chinese-Malaysian origin, and I arrived in Polonnaruwa (pop. 13,900) on Friday (April 5) night and checked in at the Rice Villa Retreat (21 Mile Post, Jayanthipura), which privilege cost us a tidy Rs. 5,500 ($ 45) plus an additional Rs. 1,045 (more than $ 8) for a modest dinner. Jayanthipura is about 9 km north of the ancient royal city or the old city of Polonnaruwa. Saturday morning, we enjoyed our breakfast in a hut in the bucolic backyard of the Rice Villa, and drove south on the Hathamuna Road (B522) to “explore” the old city, which became the administrative center of the Polonnaruwa Period when King Vijayabahu I abandoned Anuradhapura as the capital of Rajarata in1070 because of continuing South Indian invasions. King Parakramabahu the Great (1153-1186) built the samudra (sea), a huge reservoir with a surface area of 22.6 million square meters. His successor, Nissanka Malla I (1187-1196) continued to maintain the Golden Age of Polonnaruwa, but continued invasions and South Indian infiltration of the royalty weakened the kingdom resulting in the shift of the capital to Dambadeniya and a few other places. Now, as a student of Ceylon History, I had visited the ruins of the Cultural Triangle on earlier occasions. But because my wife could not recall the magnificent ruins of the royal palaces and other monuments she had seen during her first visit to Sri Lanka in 1976, we thought of refreshing our memories of the archeological marvels of ancient Lanka. So, I went to the ticket counter of the visitor center and bought two tickets””‚one at the foreigner’s rate of Rs. 3,125 ($ 25) and the other at the local rate of Rs. 50. But the female ticket checker refused to let me into the archeological museum at the local rate. “You’ll have to purchase a foreigner’s ticket unless you show me your Sri Lanka passport to determine whether you’re local,” she intoned. “I am Weligama Podda of yore. I was born and raised in the village of Pathegama in the Deep South. 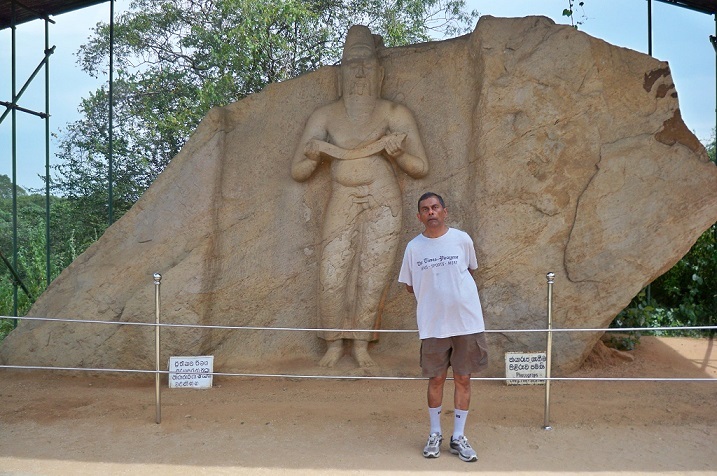 I have a birthright to see the historical ruins of Sri Lanka without having to pay ridiculously high admission fees,” I said in southern Sinhala while a guide was trying to sell me his services for an additional $25. The haughty ticket checker was unrelenting and obstinate. She insisted on seeing my passport, which I did not carry. Then, to demonstrate my displeasure, I withdrew the tickets, cashed them, and left the premises. I surmised that the ticket checker had caused the CCF to lose more than $ 25 because of failure to apply the simple principles of public relations. I ask the CCF to advice its underlings to cease trying to play detective to harass Sri Lankan expatriates. Whoever uses a discriminatory pricing system would have to expect a degree of evasion because human beings have the natural tendency to minimize their expenditure on accommodation, food, sightseeing and travel irrespective of the size of their wampum. Right now, in my opinion, the CCF is trying to “fleece” the foreigners for the upkeep of the island’s architectural ruins. Having access to the architectural sites of a country is a birth right of all those who were born in that country. Imposing exorbitant fees to access them is a violation of that right. Perhaps, the CCF could make the admission fees more reasonable by using the GDP (purchasing power parity) per capita of each country as the basis for calculation. (Sri Lanka had a GDP ppp per capita of $ 6,107 in 2012 similar to those of Bhutan, Egypt, Angola, Samoa, Paraguay, and Jordan.) Another way out would be to re-introduce a Cultural Triangle passbook valid for the duration of the visa with special concessions for families, children, and seniors. Thus, we missed the palace complexes of Parakramabahu and Nissanka Malla and the archeological museum. However, our driver Amal took us along the outer ring of the ancient city to show us the grandeur of Parakrama Samudra (including its northern arm Bendiwewa), which flanks the west side of the city with the Angammedilla National Park stretching to the west and south of the samudra. The Mahaweli Ganga (River) vertically cuts through the Flood Plains National Park on the eastern side of Polonnaruwa. We arrived in Anuradhapura (pop. 63,208) Sunday (April 7) night via Mannar because we wanted to visit the Shrine of Our Lady of Madhu, the 400-year-old Catholic Marian shrine. To reach the shrine, we drove 12 km north on Madhu Road from its intersection with the Mannar-Medawachchiya (A 14) Highway. Both Sinhalese and Tamil Catholics were at prayers together during the evening we visited. We paid no admission fee. In Anuradhapura, we stayed overnight at the Milano Tourist Rest (596/40 Stage 1) in New Town. Lodging and breakfast cost us Rs. 4,000 (about $ 32). After the negative experience in Polonnaruwa, I was not interested in paying CCF-endorsed admission fees to see the ancient ruins and sacred city of Anuradhapura wedged between the 900-hectare Nuwara Wewa (tank) to the east and the smaller Basawakkulama Wewa and Thisssa Wewa to the west. Many years ago, I had seen the atamasthana (the eight sacred places of veneration) and the dozen or so other historical structures that every Sinhala child learns about in primary school. Therefore, I decided to skip these because the CCF has turned them into tourist entrapments to fleece foreign tourists. The only exception we made was to stop at Jethawanaya Museum on Watawandana (Outer Circular) Road, which just about encircles the city. Yoke-Sim paid the foreigner’s entrance fee of Rs. 3,125 ($25) while I managed to enter for Rs. 20 to see the site. The 122-meter high Jethawanaya stupa occupies a floor area of 5.6 hectares. Inasmuch as we had hardly any rest since we started our tour on March 31, Amal brought us from Anuradhapura to Dambulla (pop. 68,821)””‚a distance of 64 km””‚Monday afternoon to allow us to rest at Eden Garden Hotel in Inamaluwa. The roadside stalls along A9 provided us all the sustenance we needed. We relished the little pots of delicious curd and assorted fruits and vegetables. Tuesday (April 9) was the last day of our island wide tour. 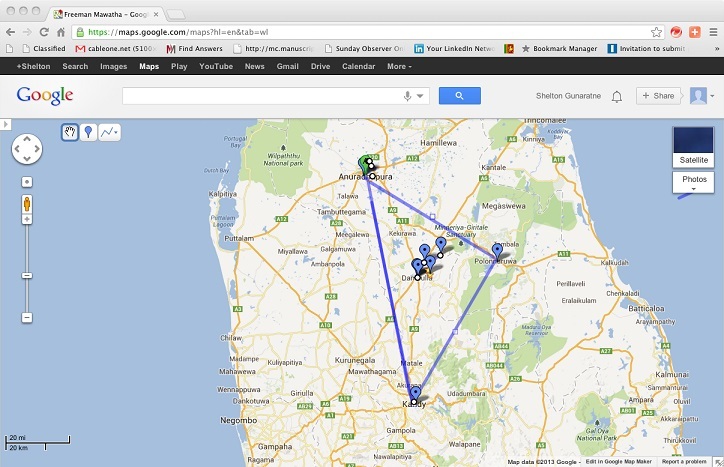 After breakfast, Amal suggested that we visit Sigiriya, only about 10 km northeast of our hotel. We found that the CCF now issued two types of admission””‚one to climb the Sigiriya rock fortress; the other to visit the new Sigiriya Museum. During our 2000 visit, we declined climbing the rock because the ticket checkers insisted that we pay the foreigners’ rate. On this occasion, we chose the more reasonable rate to see the museum””‚Rs. 625 ($5) for foreigners and Rs. 50 for locals. Now in the geriatric stage, we had no strength to climb the rock, anyway. The magnificent reproduction of the frescoes alone was worth the money we spent on admission to the museum. Then, Amal brought us back to Inamaluwa, and drove us another 10 km south on Trincomalee Road (A6) to visit the Dambulla Cave Temple. Administered by the temple’s office of the trustee, not by the CCF, it too penalizes the foreigner with an admission fee of Rs. 1,500 ($12). To compensate for our unwillingness to climb the Sigiriya rock, we began climbing the Dambulla rock with gusto, despite the intense heat, until we reached the temple at the top. for us to re-visit the Heritage Kandalama hotel, where we holidayed with our American pals, Jim and Kathleen Bowers, in 2000. I recalled the incident when a couple of wild monkeys bravely invaded the Bowerses’ room and toppled a table to grab a bunch of bananas. On this occasion, our driver and we were there only for afternoon tea. The three cups of milk tea we drank in the lounge overlooking the pool cost us Rs.867.40 (about $ 7), including Rs. 177.40 for tax and service. Unlike in 2000, the hotel did not give us a discount as expatriates. Nor did we ask for any concession. Our 10-day tour ended when our driver dropped us at my sister Rani’s home in Kurunegala””‚57 km southwest of Dambulla. Same thing happened to us, despite being dual citizens. Bloody fools at Polonnaruwa. At Anuradhapura we had a monk in our vehicle and no question asked. At Sigiriya we easily managed to go , as the people with higher IQ work there. Wherever we go police, gatekeepers etc. etc. were looking at my young daughters, it was disgusting the way they behave. Actually they said they prefer GOnibilla dress than being harassed like that. Chief boss wearing robes at Avkana who is constantly collecting money was the worst. He used abusive language. Issue here is no check and balances and locals trying to rip off ant one and also insult expats which are respected in China and India except in SL. Same issue happened to us at Sigiriya and they even approached my twin daughters and spoke in Sinhalese which they replied in Sinhalese even though they were born and brought up in London.. So they said kids are local and my self and wife is not. Luckily some officer came and recognise me and said he is a presidential adviser and just charge local rates… Now you can see how ridiculous the whole fiasco and embarrassing. Similar thing happened at Dambulla hotel ( quite expensive place trying to fleece me using foreign rates) and hotel manager recognise me and things got sorted out… When I question their tactics apologies every where…. As a nation we do not have avenues to complain or get justice and it applies almost every where unless you are connected. Similar issues happen to me and my friends when we go on trips. Wherever we go police, male travellers, etc make a point of staring. When we went to see the Dunhinda falls we were followed the entire return trip back to the main entrance. It was only after one of my friends asked a vendor (who was leaving for the day) to accompany us to the main entrance did they suddenly take off (and we were covered from head to toe with caps, baggy jeans, t-shirts, sweaters, the works). We should be able to feel safe in our own country. Most of you may not agree with me but we have to respect the laws and administration costs of our things that amuses us and foreigners including those who have taken up foreign citizenship. You cant have both. Same thing happened to me and my American friend. The first experience was with a Muslim Jeweler where I bought three smoky quartz stones for 250 dollars. The seller assured me that if I was not satisfied he will refund the funds. I met another family of jewelers who told me that I was taken so I returned for the refund and got none, even though I involved the police. The other jewelers sold me a set of smoky quartz (Brooch, pendant and earrings). Smoky quartz is the fashion along with emeralds or dark green peridot among American women. finally I left Sri Lanka with a decent Citrine pendant for a present and two sets of smoky quartz. The stones were enormous and of high quality but I only ordered one set, but I agreed to buy both sets for 1100 dollars. Though the transaction was deliberately screwed it was worth it since just one pendant made up for most of the 11OO dollars as I sold it in the US for 600 dollars. I am still holding on the other pieces. Then I was taken by a tour guide to that torture chamber called the Colombo Zoo. I hated that place as a child and if not for my friend I would have avoided a place where noble animals are kept in cages and not in a sanctuary where they can roam in a larger space. I had to pay 20 dollars while the locals paid 2 rupees to see an Elephant chained and a notice stating that she has been in that zoo since 1946.